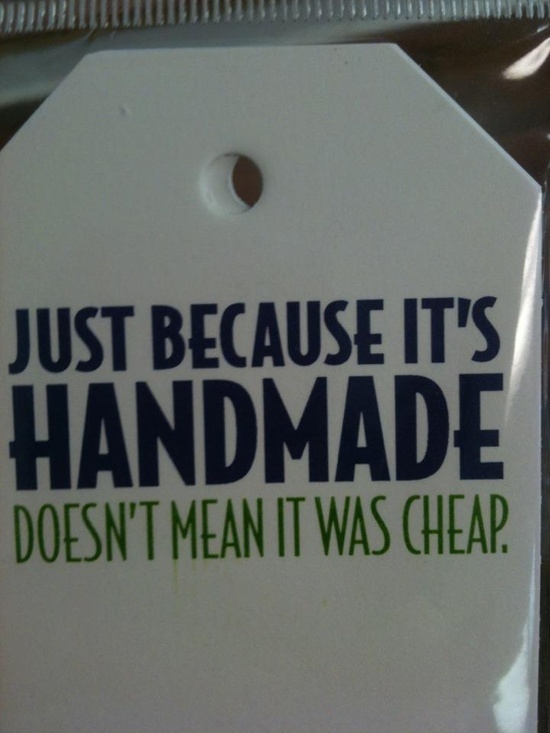 I agree because handmade crafts are made with love, patience and perseverance. It's not easy to make that's why it will always be treasured. Who said handmade products are cheap? It's the best stuff you can probably buy or give as a gift. YES to HANDMADE and DIY Stuffs! I TOTALLY AGREE!!!! Handcrafts should be more expensive actually because of all the manual labor you put into it which equates time away from family especially the kids. SO TRUE. You can't put a value on love.